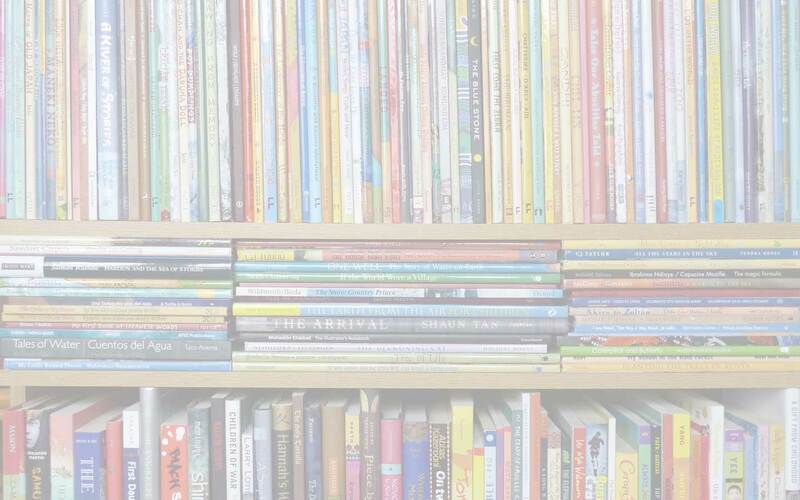 All the books in this list have something in common – and they are all also as different as you would expect any books to be that feature good characterisation and writing and that veer away from stereotypes and lazily constructed narrative. They share the characteristic that one or more of the characters they present is disabled or has a special need: but there are no labels, except those that appear when prejudice or bigotry is exposed. There are certainly challenges; and these stories help to raise awareness of some of the physical and/or emotional challenges arising from the situations in which the characters find themselves, driven by plot and, as mentioned above, depth of characterisation. For the other quality that all these books share is that they each present their protagonist’s personal journey – and they all carry their readers with them on that journey, evoking empathy through shared experience and/or a shared emotional response. 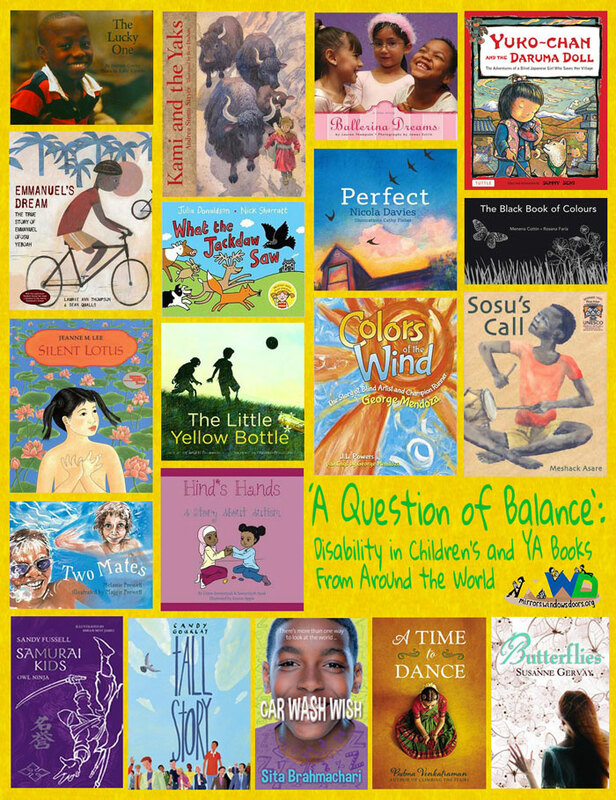 ‘A Question of Balance’, the title of both this reading list and the Mirrors Windows Doors theme of disability and special needs in books for young people, comes from Sandy Fussel’s Samurai Kids series – the phrase is directed at the books’ young narrator, Niya Moto, who only has one leg. Of course, it refers to his physical balance but it also goes deeper than that, alluding to the metaphorical sense of finding the equilibrium within to face what life throws at you. We all share a need for that. It’s also a good mantra for the craft of creating books, especially for those with the responsibility of producing books that will form an impression on young minds… and of course, there is no absolute balance; that is part of the joy of discovery for the reader (and, one hopes, for the writer/illustrator). All the books listed here (in no particular order) are highly recommended. To find more good books, for books published in the US follow the Schneider Family Book Award (now in its 12th year, awarded for picture book(s), middle-grade book(s) and YA book(s); read about its background on the ALA site I Love Libraries). And for books from all over the world, check out the biannual IBBY Selection of Outstanding Books for Young People with Disabilities. 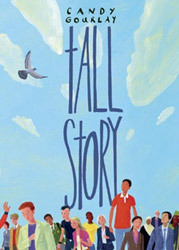 The IBBY Collection of Books for Young People with Disabilities has its home in Toronto Public Library and each month MWD features a review of one of the books in the Collection, written by Toronto Children’s librarian Debora Pearson. 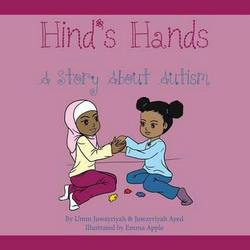 While the book is aimed at Muslim children, and big sisters in particular, it could be a precious story book for any young sibling of an autistic child, and its cultural rootedness is a bonus. The illustrations are appealing and the narrative voice is easy to read and unquestionably authentic – the authors are Juwayriah herself and her mother. An fun introduction to signing for young children. A jackdaw is, unfortunately for him, too busy inviting everyone to his party to pay proper attention to what he sees – which in every scene is one of the animals touching his or her head. Many young readers won’t know what that means either, but they soon will, along with some other words – all also gathered together in a special signing glossary at the end. 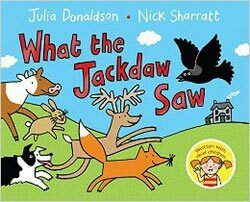 All the elements we have come to expect from Julia Donaldson are here – rhyme, rhythm and pace; and the children who appear towards the end of the story (who include a boy in a wheel-chair) in Nick Sharrat’s vibrant illustrations reflect the multi-ethnicity of the twenty deaf children, all named, who should be very proud of their wonderful book. The story is inspired by relief panels at the 12th-century Angkor Wat ttemple, and small details of these in pencil appear above the text. These contrast with the bright, luminescent colours of the full-bleed colour illustrations – beautiful and memorable. 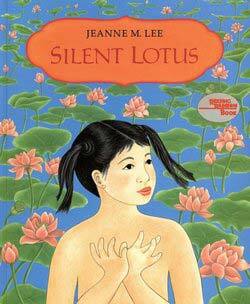 Whilst Silent Lotus has a folk-tale feel, the way it homes in on Lotus’s feeling of isolation and her increased well-being when she is embraced by the world of dance makes it a good spring-board for evoking empathy and thoughtfulness in children today. Emmanuel OfosuYeboah was born with ‘only one strong leg’. In Ghana that was a ‘curse’, a ticket to a life as a beggar. But picking up on his mother’s gift to him of ensuring his independence, he went on to demonstrate resilience and sheer determination in the face of bigotry and discrimination. When he became too heavy for his mother to carry him, he got himself to school, where he earned his peers’ respect, learning to ride a bike and play football – then, still a child, he moved by himself to Accra to find a job to support his family. Emnanuel’s story would be tough enough, even without a disability, but he proves time and time again that ‘being disabled does not mean being unable’ – this book ends with Emmanuel’s heroic bike ride around Ghana to change attitudes towards the disabled – and an Author’s Note takes Emmanuel’s story a little farther. 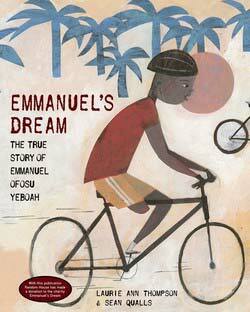 Emmanuel’s Dream is a truly inspiring book, beautifully presented: no wonder it’s been winning awards (including this year’s Schneider Family Book Award). And Emmanuel’s Dream goes beyond the confines of the book – it is the name of the charity he set up in Ghana. Read more about Emmanuel here. This award-winning book may be nearly twenty years old but it very contemporary and as relevant today as ever. Not only is it an exciting story, in which Sosu shows enormous courage and will-power, but it also presents several scenarios that ask readers to consider their own attitudes to disability. Ten-year-old Masawoud takes readers on a tour of his home and school in Ghana, and relates how he underwent surgery and intense physiotherapy in order to be able to walk. 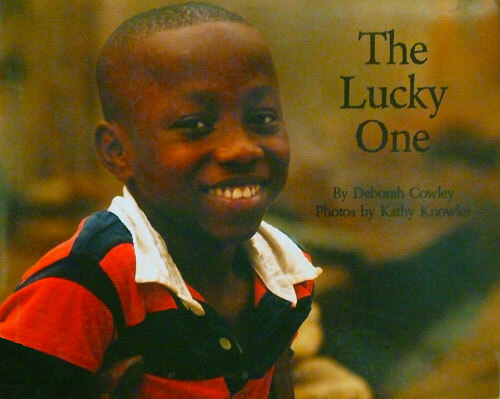 Deborah Cowley, founder of the Osu Children’s Library Fund, has captured Masawoud’s wonderful spirit in her photographs; and the text evokes compassion without asking for it – in fact, young readers will feel they have found a new friend. 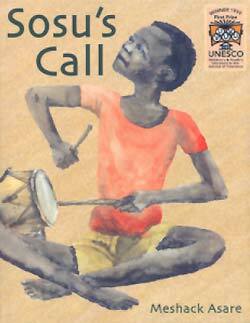 It is noteworthy that Masawoud’s favourite book is Sosu’s Call (above). Read a full review. A true story from Broome, Western Australia: Jack, who is Indigenous, and Raf, who is non-Indigenous spend all their time together on the beach, hunting for hermit-crabs or fishing, or dressing up as superheroes, or doing other things that best friends like doing together – and only at the end do we learn that active, happy Raf is in a wheel-chair because he has spina bifida… The illustrations exude the fun the boys have together – and the book as a whole breaks down barriers. As the swifts arrive back for the summer, a little boy’s sister is born. The baby is disabled and it is only when he rescues a fledgling swift that he overcomes his negative emotions and is able to bond with her, and realise that, as his sister, she is perfect. 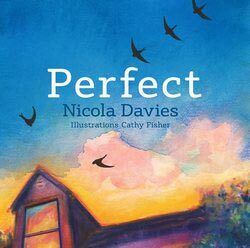 Beautifully written and presented, with a lightness of touch and depth of emotion and understanding, this is a very special book that confronts the negative feelings an older sibling might feel, for whatever reason, at the arrival of a new baby, and shows that healing and love can be round the corner. Read a full review. Little Sherpa boy Kami sets off into the Himalayan mountains to search for his family’s strayed yaks. Kami is deaf and uses his heightened sensory awareness to help him locate them but he has to overcome the terrors of a ferocious storm during his quest. His family is amazed when he returns home with the lost animals – and, filtered through their reaction, the book is a reminder not to dimiss someone because they are labelled by an impairment: on the contrary, Kami succeeds where many a person with hearing would fail. The story opens a window onto the Sherpa world, with stunning illustrations depicting the Himalayan landscape. 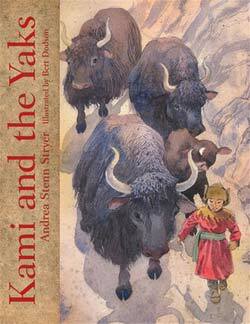 A winner of the Schneider Family Award, Kami and the Yaks is now out of print but worth seeking out. 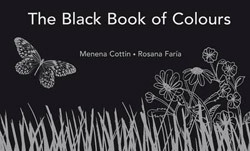 Printed on black paper, this innovative book combines braille, raised illustrations to be interpreted by touch, and text (printed in white) that describes colours through their interpretation by Thomas, who is blind. He has learnt what colour things go by and uses his other senses to describe them – and it reads like poetry. A braille alphabet at the end means that sighted young readers will be able to work out the braille for themselves. Conceptually, this is a wonderful book that won the New Horizons Award in Bologna when it was first released and has gone on to be published all over the world. My favourite pages are the rainbow and Thomas’ description of black, the ‘king of all colours’ and ‘soft as silk’: his mother’s hair when she hugs him. ‘Once upon a time’ five little girls dreamt of being ballerinas, just like so many little girls the world over – and this beautifully photographed book follows them as they prepare to take to the stage and make that dream come true. Dancing is a challenge for all of them, as they have cerebral palsy and other physical disabilities – but that certainly doesn’t deter them. 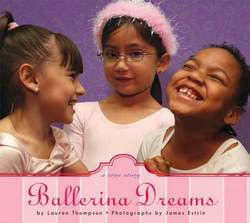 Ballerina Dreams is full of frothy pink tutus and sequins, and hard work, and the best of the human spirit – love, determination, sharing and sheer joy, as well as pride in achievement. A wonderful book to share with any budding dancer. 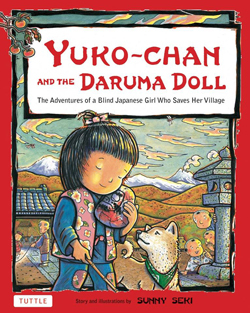 Set 200 years ago in Takasaki, Japan, Blind orphan Yuko-chan lives in a monastery. After an earthquake, she helps take food to affected neighbours, and then, through accidental discovery, helps them to rebuild their lives through the entrepreneurial painting of gourds – the Daruma dolls that Takasaki is famous for today. Yuko-chan is a delight; and the whole story, as well as the detailed illustrations, are hugely appealing. Read a full review and my interview with Sunny Seki (PaperTigers, 2012). George Mendoza started going blind when he was 15. He went on to break the mile world record and later competed in the Paralympics. He also became a painter when, as he was losing his sight, he was advised to paint the dazzling colours and visions that troubled him; and when a young friend, blind from birth, asked him the colour of the wind. J. L. Powers’ narrative takes readers on George’s journey through self-doubt and low self-esteem to success and empowerment – and the illustrations painted by George are a dazzling riot of colour. 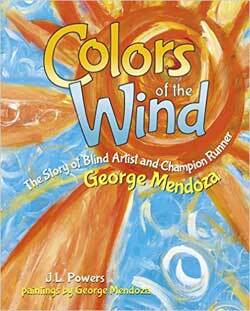 As well as being universally inspirational, Colors of the Wind is a good way to reinforce the fact that there are different types of blindness, not just seeing nothing at all. The sparse narrative gets across the psychological as well as physical damage caused to children by war; and while Marwa’s final words point to the bravery of ‘Ahmad and all the children in the world like him’, we must not forget that she too was a victim. The illustrations are powerful – especially the last one that incorporates photos of children, no doubt provided by associate publisher Handicap International. A funny, moving, truly delightful novel alternating between the first-person narratives of Andi in London and her half-brother Bernardo in the Philippines, painting a vivid portrait of both their lives. Twelve-year-old Hudson’s favourite letter is Z, which is why he’s come up with the nickname Zygote for his soon-to-be-born brother or sister. Hudson addresses the narrative here to Zygote, talking about his parents, who are divorced, and his grandad, who has just died; and introducing some of the things that he finds complicated, like dealing with jokes and figures of speech- because Hudson has Aspergers. I love the bit where Hudson not only shows that he has assimilated the meaning of the expression ‘the elephant in the room’ but then completely owns it, building on it to show the exaggeration of the awkwardness implied. As Hudson negotiates his grandad’s funeral and spends time with his grieving dad, aspects of the inter-generational relationships explored may well resonate with readers. 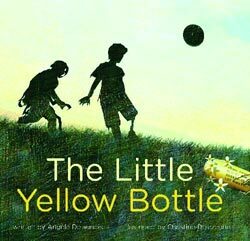 Because we are able to get under Hudson’s skin through the first-person narrative, this is a great story for nurturing empathy. Read my interview with author Sita Brahmachari (2016) for more insight into the book. When prize-winning Bharatanatyam dancer Veda loses a foot in a car accident, it seems she will never dance again. Her road to healing -and to dancing – takes her on a spiritual journey that takes her to the heart of the Bharatanatyam tradition, and she forges some important relationships along the way: with the Western doctor who constructs her prosthetic foot; with her mother, whose determination that Veda must pursue academic studies had caused a rift between them; and with Govinda, a young instructor at Veda’s new dance school. The staunch support of her best friend deserves a special mention too. There are some funny moments, as well as instances of blatant prejudice and depressing thoughtlessness. 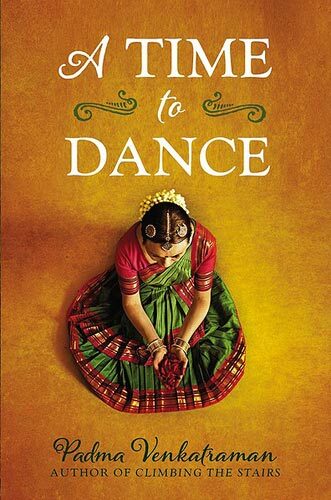 A Time to Dance is beautifully written in verse, in the first person: both these aspects contribute to the novel’s intensity and emotional depth. Read my interview with author Padma Venkatraman (2016) for more insight into the book. Katherine suffered catastrophic burns when she was three years old. Now in her last year at school, she is dealing with many of the emotional issues faced by teenagers generally, but she also has deep scars to contend with, both physical and emotional. Gradually, through minutely observed flash-backs, readers learn about the accident, its immediate aftermath and the long-term effects, including the many operations Katherine has had to undergo. 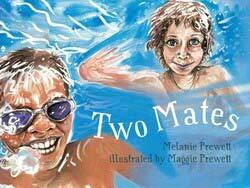 But we also meet the strong, courageous, determined Katherine who studies hard, swims competitively and falls in love. 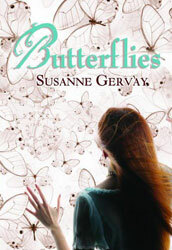 Very carefully researched, Butterflies provides accurate medical backround coupled with emotional and psychological impact within its fictional framework. 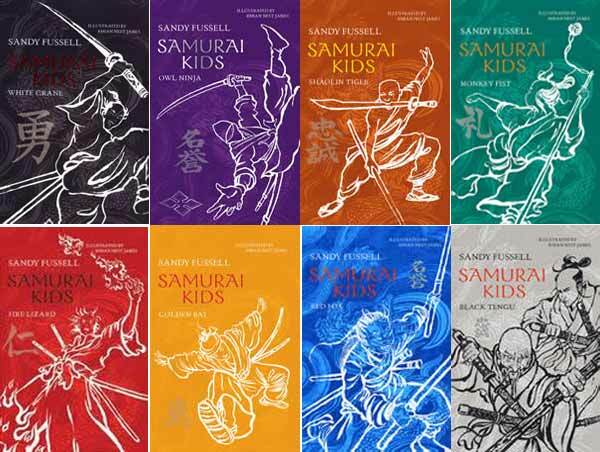 There are eight books in this great middle-grade adventure series narrated by young samurai Niya, who only has one leg. His band of friends includes emotionally scarred Yoshi, albino girl Kyoko, one-armed Mikko, and Taji, who is blind. Together they make quite a team as they face many adventures together. A Time to Dance, Andrea Stenn Stryer, Angèle Delaunois, As Sabr Publications, Ballerina Dreams: A True Story, Barbara Creary, Barrington Stoke, Bay Otter Press, Bert Dodson, Butterflies, Candlewick Press, Candy Gourlay, Car Wash Wish, Cathy Fisher, Children's and YA books about disability, Christine Delezenne, Colors of the Wind: The Story of Blind Artist and Champion Runner George Mendoza, Deborah Cowley, disability in children's books, Elisa Amado, Emma Apple, Emmanuel's Dream: The True Story of Emmanuel Ofosu Yeboah, Farrar Straus Giroux, Feiwel and Friends, George Mendoza, Graffeg, Hind's Hands: A Story about Autism, J. L. Powers, James Estrin, Jeanne M. Lee, Julia Donaldson, Juwayriyah Ayed, Kami and the Yaks, Kathy Knowles, Lauren Thompson, Laurie Ann Thompson, Life & Deaf, Macmillan, Magabala Books, Maggie Prewett, Melanie Prewett, Menena Cottin, Meshack Asare, MWD article, Nancy Paulsen, Nick Sharratt, Nicola Davies, Osu Children's Library Fund, Padma Venkatraman, Perfect, Purple House Press, Rhian Nest James, Rosana Faría, Samurai Kids, Sandy Fussel, Schwartz & Wade Books, Sean Qualls, Second Story Press, Silent Lotus, Sita Brahmachari, Sosu's Call, Sub-Saharan Publishers (Ghana), Sunny Seki, Susanne, Tall Story, The Black Book of Colors, The Black Book of Colours, The Little Yellow Bottle, The Lucky One, Tuttle, Two Mates, Umm Juwayriyah, Walker Books (Australia), What the Jackdaw Saw, Yuko-chan and the Daruma Doll: The Adventures of a Blind Japanese Girl Who saves Her Village. Bookmark. This is a great list of books. I didn’t know about some of these I can’t wait to read them. Thanks for sharing. Enjoy them – they’re all great books! This is incredible! So many of these books are new to me, and I cannot wait to check them out. Thanks for putting this together and sharing it with #diversekidlit. So important!